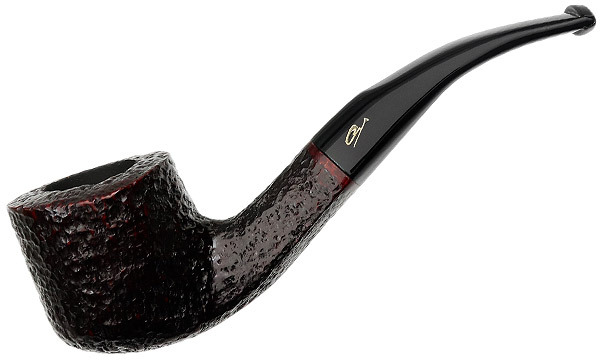 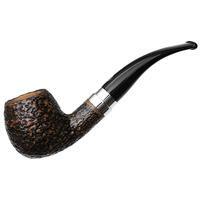 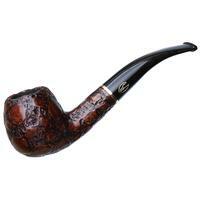 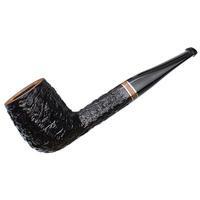 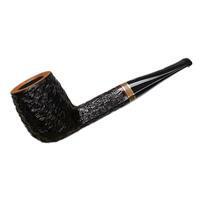 This is a neat little bent Pot from Savinelli's Sigla series. 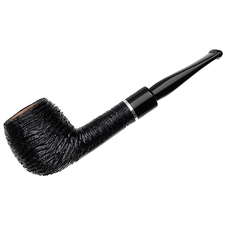 The Siglas were created as a line similar to the Autographs, but quite a bit smaller — this one is perhaps a Dunhill group 3 or 4 equivalent. 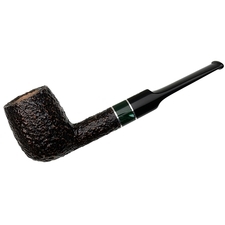 The Autographs are great pipes, but, except for the Mignons, they do tend to run from rather large to huge, leaving the fan of smaller pipes at something of a loss. 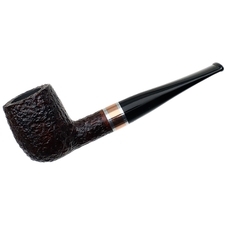 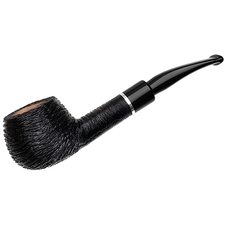 Moreover, for a hundred and twenty-five bucks, the Sigla rusticated pipes are an incredible bargain-- great hand shaped bowls, 6mm acrylic stems, and excellent fit and finish all at a very reasonable price. Chamber Depth: 1.10 in./27.94 mm.